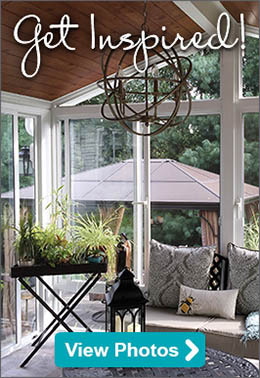 Choosing which type of sunroom is best for your home can be difficult; especially with an abundance of available options. Wisconsin and New Jersey homeowners both chose custom Patio Enclosures screen rooms for their homes and were exceptionally pleased with the completed projects. 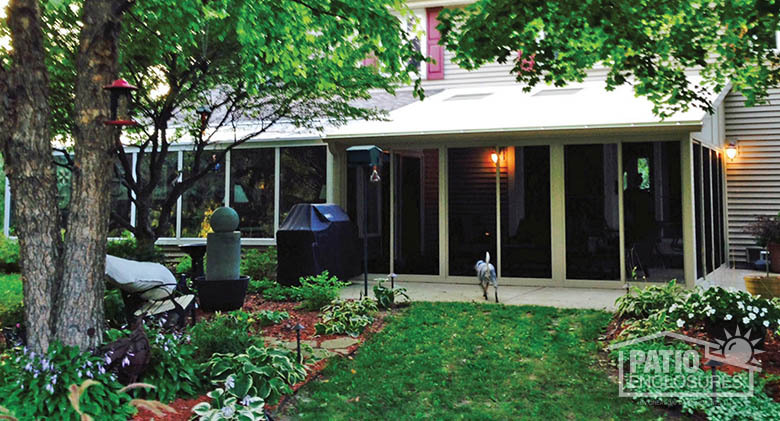 Waukesha, WI homeowners wanted a way to enjoy evenings outdoors to star-gaze and relax without having to worry about the bugs that plague the area during the summer months. The couple worked with Patio Enclosures to design a charming screen room off their back patio. The single-sloped screen room features Patio Enclosures patented glass roof panels that provide ample amounts of natural light during the day and a beautiful view of the stars at night. Patio Enclosures glass roof panels are similar to skylights, although unlike traditional skylights which are typically added to a roof after the fact by cutting part of the roof away, our glass roof panels are engineered as part of the roof during the initial build. This process ensures that the glass roof panels remain flush with the roof eliminating concerns for leaking which typical skylights often experience. The glass roof panels also include removable screens, which allow you to control the amount of sunlight that enters the room. 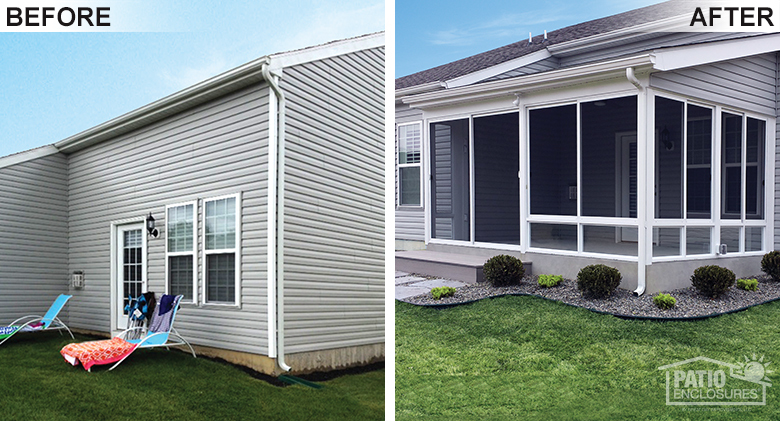 Patio Enclosures’ Milwaukee location serves southeastern Wisconsin including West Bend, Kenosha, Sheboygan and Madison. Homeowners in Farmingdale, New Jersey wanted a place in their backyard to sit and enjoy the outdoors without having to worry about bothersome mosquitos. After an in-home design consultation with the experts at Patio Enclosures, the couple decided on a custom screen room addition for their home. Their room features a white, powder-coated aluminum frame and a single-slope roof to match the style of their home. Also known as a shed roof, single slope roofs consist of one roof section that slopes in one direction. This roof style can also be shingled to create a seamless look. Learn more about our Bensalem, PA location as well as other projects completed by the tenured staff. 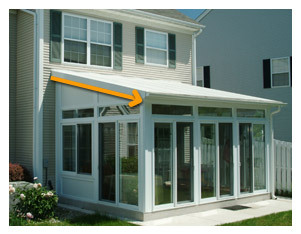 Patio Enclosures brand sunrooms have been trusted by hundreds of thousands of customers over the past 50 years. We are sunroom experts. Not only do we custom design and manufacture our rooms, but we also install, guarantee and service them. Controlling the entire process from start to finish ensures you receive the highest quality every step of the way. We offer three screen frame colors to choose from, including white, sandstone and bronze finish. The neutral color palette ensures that the new enclosure will match your existing home. Our powder-coated aluminum frames also provide the highest resistance to scratching, fading, peeling and chipping, which gives you lasting color for the life of your room. At Patio Enclosures, we pride ourselves on our outstanding quality and performance. That’s why we offer multiple roof options to fit your needs and style of home. Our 3-inch insulated roof panels feature structural I-beams that provide maximum strength and stability to withstand high winds and snow loads. Our screen panels roll easily, and the screens won’t fall out because of our unique triple-track system and fixed-axle rollers. Our floor-to-ceiling aluminum mesh screens also resist sagging, stay cleaner than traditional fiberglass and provide maximum visibility without glare. Are you interested in learning more about our screen room additions? Find a location near you and schedule your free, in-home estimate today, or give us a call at 1-800-230-8301 for more information. What is a Screen Room?